Subasinghe Mudiyanselage Ashan Priyanjan (born 14 August 1989 in Colombo) is a professional Sri Lankan cricketer who plays for the national side in limited over formats. He is a middle-order batsman and occasionally a right-arm medium fast bowler. He was educated at Nalanda College Colombo and played cricket for the college first XI team from 2005 to 2008 and was the Vice Captain in 2008. He is married to his longtime partner Ama Rajapakse, where the wedding ceremony was celebrated on 30 May 2017 at Pegasis Hotel, Wattala. After leaving school, Ashan played cricket for Bloomfield Cricket and Athletic Club, Combined Provinces, Ruhuna, Sri Lanka A cricket team, Sri Lanka Cricket Development XI, Sri Lanka Under-19s, Sri Lanka Under-20s School, Tamil Union Cricket and Athletic Club, Sri Lanka Board Presidents XI. He was Sri Lanka's captain for the 2008 ICC Under-19 Cricket World Cup in Malaysia. 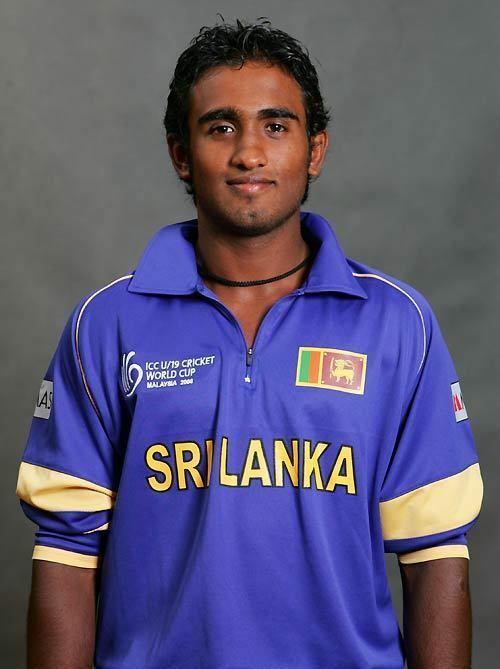 He was also a member of the 2006 ICC Under-19 Cricket World Cup squad representing Sri Lanka. Priyanjan also led the Sri Lanka Youth T20 team at SAF Games in Bangladesh in January 2010. He represented Sri Lanka team in Hong Kong Cricket Sixes 2011, a three-day tournament at Kowloon Cricket Club of Kowloon. On 25 July 2014, Priyanjan scored a hundred against Ireland in Sri Lanka A tour Ireland. He hit 111 off 70 balls as Sri Lanka piled up 329 for 8 in fifty overs. Ireland only scored 222 and Sri Lanka won the match convincingly by 107 runs. He also played for the domestic team Hambantota Troopers in 2016 Super Twenty20 Provincial Tournament. Priyanjan made his ODI debut on 25 December 2013 as the 157th ODI cap for Sri Lanka, and scored 74 runs on his debut against Pakistan at Abu Dhabi. The score stands as the highest ODI score by a Sri Lanka debutant. However, Pakistan won the match by 8 wickets at the end. Priyanjan played 23 ODIs after his debut, but only managed to score 2 fifties and dropped from the squad in 2015. In 2017, Priyanjan was called in to the one-off T20I against India. He made his Twenty20 International (T20I) debut for Sri Lanka against India on 6 September 2017. He scored unbeaten 40 runs in the match and posted a total of 170 to India. India finally chased the total and won the match by 7 wickets.